This is a list of hospitals in New York City, sorted by hospital name. A list of hospitals in New York state is also available. Calvary Hospital of the Bronx, 1740 Eastchester Rd. Primary focus on hospice care. North Division: (formerly Our Lady of Mercy Hospital) 600 E. 233rd St.
Beth Israel Medical Center - Kings Highway Division – 3201 Kings Highway, Brooklyn. Brookdale University Hospital and Medical Center – Rockaway Pkwy at Linden Blvd, Brooklyn. Brooklyn Hospital Center – Founded in 1845; DeKalb Av. at Ashland Pl., Brooklyn. Lutheran Medical Center – Founded in 1883; 150 55th St, Brooklyn. Maimonides Medical Center – Founded in 1911; 48th Street and Tenth Ave, Brooklyn. New York Methodist Hospital – Sixth St. at Seventh Av., Brooklyn. Bellevue Hospital Center - Founded on March 31, 1736; the oldest public hospital in the United States; First Avenue and East 26th St, Manhattan. Beth Israel Medical Center – Founded in 1890; Main Campus: 1st Ave. at E. 16th St.; Branch divisions: 10 Union Square East and 3201 Kings Highway, Brooklyn. Flower Fifth Avenue Hospital - 1249 Fifth Avenue; it is now the Terence Cardinal Cooke Health Care Center. Hospital for Special Surgery – Founded in 1863 as the Hospital for the Ruptured and Crippled; 535 East 70th St., Manhattan. Lenox Hill Hospital – Founded in 1860; 111 East 77th St., Manhattan. Lower Manhattan Hospital 170 William Street. Manhattan Eye, Ear and Throat Hospital – Founded in 1869, 210 East 64th St., Manhattan. Manhattan Psychiatric Center – Wards Island. NewYork-Presbyterian Hospital/Weill-Cornell Medical Center – Founded in 1771 (The New York Hospital), 1868 (The Presbyterian Hospital), 1898 (Cornell University Medical College), final merger was in 1996; 525 East 68th St., Manhattan. NewYork-Presbyterian Hospital/Columbia University Medical Center – Founded in 1771 (The New York Hospital), 1767 (Columbia University College of Physicians and Surgeons), and 1868 (The Presbyterian Hospital), final merger was in 1996; 630 West 168th St., Manhattan. New York Downtown Hospital – Founded in 1857 (New York Infirmary), 1905 (St. Gregory's) and 1922 (Broad Street), later Beekman. final merger was in 1979; As of 2013, the name changed to Lower Manhattan Hospital, part of NewYork-Presbyterian Health System. 170 William St.
New York Eye and Ear Infirmary – Founded in 1820; 310 East 14th St., Manhattan. St. Luke's-Roosevelt Hospital Center – Founded in 1846 and 1863, merged 1979; St. Lukes: 1111 Amsterdam Ave. Roosevelt: 1000 Tenth Avenue, Manhattan. Elmhurst Hospital Center 79-01 Broadway, Elmhurst. Flushing Hospital Medical Center – Founded in 1884; Parsons Blvd. at 45th Av. Flushing. 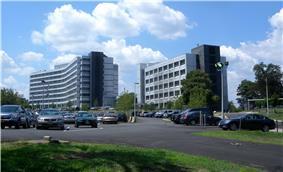 Richmond University Medical Center – Founded in 1903 and renamed in 2007; Staten Island branches located at 355 Bard Av. and 75 Vanderbilt Av. Staten Island University Hospital – Founded in 1861; Staten Island branches, 475 Seaview Av. and 375 Seguine Av. Adelphi Hospital, 50 Greene Avenue, Brooklyn, now apartments. Baptist Medical Center 2749 Linden Blvd, Brooklyn, later nursing home. Demolished 2013. Bay Ridge Hospital 437 Ovington Ave, Brooklyn, now nursing home. Beekman-Downtown Hospital – Founded in 1905; 117 Beekman Street, Manhattan. Bethany Deaconess Hospital 237 St. Nicholas Avenue, Ridgewood, Queens. Beth David Hospital – Founded in 1887; 159 East 19th Street, Manhattan. Beth Moses Hospital 404 Hart Street, Brooklyn. Bronx Hospital – Founded in 1908; 1276 Fulton Avenue, The Bronx. Merged in 1962 with Lebanon Hospital, The Bronx. Bradford Street Hospital 15 Bradford Street, Brooklyn. Brooklyn Women's Hospital 1395 Eastern Parkway, Brooklyn. Brooklyn Eye and Ear Hospital 29 Greene Avenue, Brooklyn, now nursing home. Brooklyn State Hospital now Kingsborough Psychiatric Hospital. Boulevard Hospital 46-04 31st Avenue, Astoria, now private medical offices. Bushwick Hospital – Founded in 1891; Putnam Avenue at Howard Av., Brooklyn, now NY State facility for youth. Cabrini Medical Center 227 East 19th Street, Manhattan. Closed March 2008. Caledonian Hospital 10 Saint Paul's Place, Brooklyn. Now co-ops. Carson C. Peck Memorial Hospital 570 Crown Street, Brooklyn. Opened 1919, closed late 1990s. Demolished in 2003 for girl's Yeshiva and apartments. Columbus Hospital named changed to Cabrini. Closed 2007. Cumberland Hospital, 35 Auburn Place, Brooklyn, replaced by Cumberland Diagnostic Treatment Center. Deepdale General Hospital – 55-15 Little Neck Parkway, Little Neck, NY 11362, Queens. Now senior housing. Doctors Hospital of Brooklyn, 15th Avenue at 45th Street, Brooklyn. Closed approx. 1965. Doctors Hospital (Manhattan) 170 East End Avenue, replaced by condominium apartments. Doctors Hospital of Queens, 104-20 Van Wyck Expressway, Jamaica, Queens. Doctor's Hospital of Staten Island – Founded in the early 1900s, moved to 1050 Targee Street in Concord in the 1960s after former building was demolished to make way for the Staten Island Expressway, part of United States Interstate 278. Evangelical Deaconess Hospital 623 Chauncey Street, Brooklyn, now homeless shelter. Fitch's Sanitarium, 123 West 183 St, the Bronx. Founded 1920. Closed early 1960s, now apartments. Flatbush General Hospital 719 Linden Boulevard, Brooklyn. Francis Delafield Hospital, 99 Fort Washington Ave, Manhattan, now senior housing. French Hospital 330 West 30th, Manhattan, now co-op apartments. Gotham Hospital, 30 East 76th Street, Manhattan. Grand Central Hospital 321 East 42nd Street, Manhattan, replaced by office building. Greenpoint Hospital, 300 Skillman Avenue, Brooklyn. Closed 1982; now main building of Greenpoint Renaissance Enterprise Corporation consortium of neighborhood organizations. Halcyon Hospital, 754 Boston Road, the Bronx. Harbor Hospital, Cropsey Avenue at 23rd Ave, Brooklyn. Building stands vacant. Hillcrest General Hospital, 158-40 79th Ave, Flushing, Queens, now a chemical drug dependency facility called 'Cornerstone of Medical Arts Center'. Holliswood Hospital 87-37 Palermo Street, Hollis. Closed August 2013. Holy Family Hospital Founded 1868; 155 Dean St., Brooklyn, replaced by Brooklyn Diocese nursing home. Horace Harding Hospital 90-02 Queens Boulevard, Elmhurst. Name changed to St. Johns. Closed March 2009. House of the Holy Comforter – Founded in 1800; 2751 Grand Concourse, The Bronx. Howard Beach General Hospital 155-55 Cross Bay Blvd, Queens, later facility for developmentally disabled. Converted to senior apartments in 2012. Italian Hospital 123 West 110th St, Manhattan, now apartments. Jews Hospital Manhattan, became Mount Sinai Hospital. Jewish Hospital for Chronic Diseases – Founded 1929; East 49th St. at Rutland Rd., Brooklyn, now Kingsbrook Jewish Medical Center. Jewish Memorial Hospital – Founded 1905; Broadway at West 196th St, Manhattan. Closed 1983. Kew Gardens General Hospital 80-02 Kew Gardens Rd, Queens. Founded 1941 in former hotel. Closed mid-1980s, replaced by office tower. Knickerbocker Hospital – Site in 1862 of Civil War-soldier Manhattan Dispensary, expanded and renamed until becoming Knickerbocker in 1913; 70 Convent Ave., Manhattanville, Manhattan; now senior apartments. Lebanon Hospital – Founded in 1890; Grand Concourse at Mount Eden Ave, the Bronx. Merged in 1962 with Bronx Hospital to form Bronx-Lebanon Hospital Center. Lefferts General Hospital, 460 Lefferts Av, Brooklyn. Building demolished for girl's Yeshiva. Lefferts Maternity Hospital, 104-37 Lefferts Blvd, Richmond Hill. Le Roy Hospital, 40 East 61st St, Manhattan, now co-op apartments. Linden General Hospital, 501 New Lots Av, Brooklyn, now homeless shelter. Lutheran Hospital of Brooklyn, East New York Ave at Junius Street, Brooklyn. Lutheran Hospital of Manhattan, Convent Avenue and 144th Street, Manhattan. Lying-In Hospital 305 Second Ave, Manhattan, Opened 1902. In 1936 became Manhattan General Hospital. Now co-op apartments. Lying-In Hospital 530 East 70th Street, Manhattan. Became the Obstetrics and Gynecology Department of New York Hospital, when New York Hospital-Cornell Medical Center opened in 1932,occupying one of the pavilions along the East River. Madison Avenue Hospital, 30 East 76th Street, Manhattan. Manhattan General Hospital 305 Second Avenue, Closed 1964. Now co-op apartments. Mary Immaculate Hospital Founded in 1902, 152–11 89th Av, Jamaica. Closed March 2009. Medical staff residency training records and verification have become available through the Federation Credentials Verification Service (FCVS) Closed residency program records. Medical Arts Center Hospital, 57 West 57th Street, Manhattan. Now drug rehabalitation. Midtown Hospital, 309 East 49th Street, Manhattan, demolished for co-op apartments. 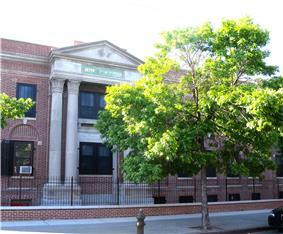 Midwood Hospital, 19 Winthrop Street, Brooklyn, was Saint John's Elementary School (a private school) from 1979–2000. Now Midwood Sanitorium. Misericordia Hospital, 600 East 233rd St, Bronx. Name changed to Our Lady of Mercy. Morrisania Hospital 50 East 168th Street, the Bronx, Founded 1929, Closed 1976. Mount Eden Hospital, 199 East Mount Eden Avenue, the Bronx. Razed 2011. Murray Hill Hospital 30 East 40th Street, Manhattan. New-York Post-Graduate Hospital – Founded 1882; 226 East 20th St., Manhattan. Absorbed into present day NYU Langone Medical Center. New York Infirmary – Founded 1853; 321 East 15th St., Manhattan. Merged with Beth Israel. North General Hospital, Madison Ave & East 121 St, Manhattan. Closed July 2010. The Northern Dispensary Waverly Place and Christopher Street. (1840–1870). Building stands vacant. Northeastern Dispensary incorporated February 18, 1862, at 100 East 59th Street. Norwegian Lutheran Deaconess Hospital – Founded 1883; 4520 Fourth Av, Brooklyn. Our Lady of Mercy Medical Center – 600 East 233rd St.; merged in 2008 with Montefiore Medical Center. Park Avenue Hospital, 591 Park Ave, Manhattan, now apartments. Park East Hospital, 112 East 83rd St, Manhattan, now co-op apartments. Park West Hospital, 170 West 76th St, Manhattan, now co-op apartments. Parkchester General Hospital 1424 Parker Street, the Bronx, replaced by townhouses. Parkway Hospital (Manhattan) 123 West 110 Street, now apartments. Parsons Hospital 35-06 Parsons Blvd, Flushing, merged with Flushing Hospital. Pelham Bay General Hospital, 1820 Pelham Bay Parkway South, Bronx. Now apartments. 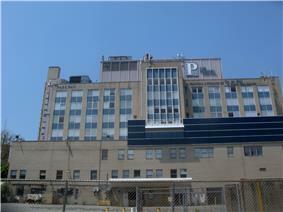 Peninsula Hospital 51-15 Beach Channel Drive, Far Rockaway. Founded 1908. Closed April 2012. Physicians Hospital 34-01 73rd Street, Jackson Heights, replaced by Junior High School 230 in 1998. Polyclinic Hospital 345 West 50th St, Manhattan, now co-op apartments. Prospect Hospital, 730 Kelly St, the Bronx, now homeless shelter. Prospect Heights Hospital – Founded in 1871; 775 Washington Ave, Brooklyn, now Senior housing. Reconstruction Hospital, 395 Central Park West, Manhattan. Regent Hospital, 115 East 61st St, Manhattan, now apartments. Roosevelt Hospital – Founded 1871; merged in 1979 with St.Luke's Episcopal Hospital. Rockaway Beach Hospital 152 Beach 85th Street, Queens.Closed mid-1960s. Samaritan Hospital, Founded in 1906, 759 President St, Brooklyn. Royal Hospital 2021 Grand Concourse, the Bronx, now private medical offices. Shore Road Hospital, 9000 Shore Rd, Brooklyn, replaced by senior housing. Smith's Infirmary Hospital, Staten Island. St. Ann's Maternity Hospital, 13 East 69th St, Manhattan. St. Anthony's Hospital 89-15 Woodhaven Blvd, Woodhaven. Founded 1914, Closed 1966. Private homes built on property in 2000. St. Catherine Hospital – Founded 1893; 133 Bushwick Avenue, Brooklyn, now senior housing. St. Cecilia Maternity Hospital, 484 Humboldt St, Brooklyn. Now apartments. St. Francis Hospital, 525 East 142nd St. Closed December 31, 1966 after 101 years. Replaced by apartments. St. Elizabeth's Hospital, 689 Fort Washington Ave, Manhattan. Closed 1981. Now co-op apartments. St. Giles 1346 President St, Brooklyn, now private school. St. John's Queens Hospital 90-02 Queens Blvd, Elmhurst. Closed March 2009. In 2014 sold for conversion to apartments. St. John's Long Island Hospital Founded 1890; 25-01 Jackson Av., Long Island City, replaced by Citibank Tower. St. Joseph Hospital Founded in 1905; 327 Beach 19th St, Far Rockaway, Queens. St. Joseph's Hospital - SVCMC 158-40 79th Ave Flushing, formerly Hillcrest General Hospital. As of 2007, a chemical drug dependency facility 'Cornerstone of Medical Arts Center'. St. Joseph's Hospital for Chest Diseases Founded in 1882; Brook Av. at 143rd St., the Bronx. St. Luke's Episcopal Hospital Founded in 1856; merged in 1979 with Roosevelt Hospital. St. Mary's Hospital 170 Buffalo Avenue, Brooklyn. Closed October 4, 2005 after 138 years. St. Peter Hospital Founded 1864; 380 Henry St., Brooklyn, now a nursing home. Saint Vincent's Catholic Medical Center, 170 West 12th Street, Manhattan Closed April 30, 2010 after 160 years. St. Vincent's Hospital (Midtown), formerly Saint Clare's Hospital (1934-2003), 415 West 51st St., Manhattan. Closed 2007. Sister Elizabeth Maternity Hospital 362 51st St, Brooklyn. Now social services agency. Stuyvesant Polyclinic 137 Second Avenue, Manhattan. Founded 1906, Closed 2008. Stuyvesant Square Hospital, 301 East 19th Street, Manhattan. Swedish Hospital 126 Rogers Avenue at Sterling Place, Brooklyn. Moved to 1350 Bedford Avenue at Pacific Street, now apartments. Sydenham Hospital, 565 Manhattan Ave, Manhattan, now senior housing. Terrace Heights Hospital 87-37 Palermo Street, Hollis, Queens, later Holliswood Hospital. Closed August 2013. The Northern Dispensary Waverly Place and Christopher Street. (1840–1870). Stands vacant. The DeMilt Dispensary (1840–1870) Second Avenue and East 23d Street. Trafalgar Hospital, 161 East 90th St, Manhattan, now co-op apartments. Triboro Hospital Jamaica, merged with Queens General Hospital. Union Hospital, 260 East 188th St, the Bronx, now community health center. Unity Hospital, 1545 Saint John's Place, Brooklyn, now apartments. University Heights Hospital, 74 West Tremont Ave, the Bronx. Victory Memorial Hospital, 9036 7th Avenue, Bay Ridge,Brooklyn. Opened 1927, closed 2006, now Urgent Care Center of SUNY Downstate. Was locally-known as the "Baby Hospital." Wadsworth Hospital, 629 West 185th St, Manhattan, now private medical offices. Woman's Hospital in New York Founded in 1855; 141 West 109th St., Manhattan, now part of St. Luke's-Roosevelt Hospital Center. Williamsburg General Hospital, 757 Bushwick Ave, Brooklyn, now apartments. Whitestone Hospital, 166th St at 12th Ave, Whitestone, Queens, replaced by garden apartments. York Hospital, 119 East 74th Street, Manhattan. ^ NEW-YORK POST-GRADUATE HOSPITAL, The New York Times, December 23, 1888.